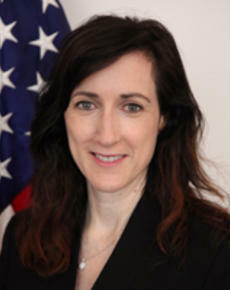 Anne Rung serves as Administrator of the Office of Federal Procurement Policy in the Office of Management and Budget. She was confirmed on September 11, 2014. Rung is responsible for implementing acquisition policies covering more than $450 billion in annual federal contract spending. Previously Rung served in senior acquisition positions at both the federal and state level. Between 2012 and 2014, Rung served as Chief Acquisition Officer at GSA and Associate Administrator of Government-wide Policy. Prior to joining GSA, she served as Senior Director of Administration at the U.S. Department of Commerce, where she led and implemented a Department-wide acquisition reform effort. Prior to her federal government service, she served as Deputy Secretary for Administration and Procurement for the Pennsylvania Department of General Services (DGS). As Deputy Secretary, she led four Commonwealth-wide operations supporting 77,000 employees, including the Commonwealth’s procurement program. She served for three years as DGS Chief of Staff prior to becoming Deputy Secretary. A native of State College, Pennsylvania, she is a graduate of Pennsylvania State University and London School of Economics and Political Science.